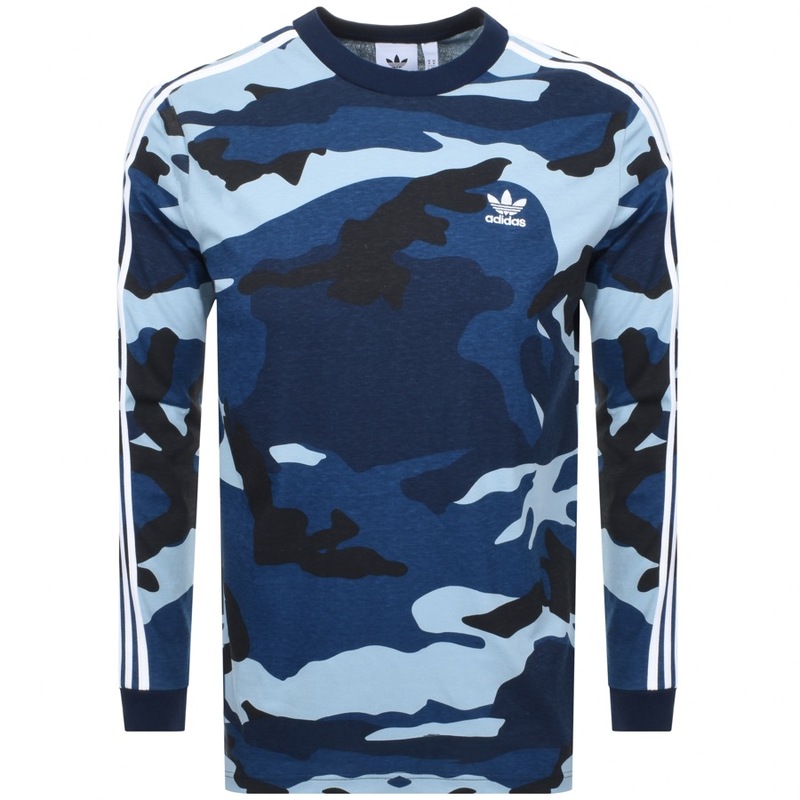 adidas Originals Long Sleeve Camo T Shirt In Blue, An all over camouflage design in dark blue, light blue and black. A dark blue ribbed crew neck and dark blue ribbed cuffs on the long sleeves with the signature Adidas Three Stripes going down each sleeve in white. The signature Adidas Trefoil logo is embroidered on the left of the chest in white. 100% Cotton. Part Of The Brand New Collection of Adidas T Shirts Live Online.